FITZROY’S MOST TRUSTED FAMILY CLEANING SERVICE! If you’re looking for a reputable maid service that will go the extra mile to make your home cleaner than ever before, Simply Maid is your best bet! Fitzroy homeowners can count on us for all home-related cleaning needs, 6 days a week! We are driven working professionals with years of experience under our belts and the skill to tackle even the most challenging home cleaning tasks! With painstaking efforts and top of the line equipment and products, you can rest assured that your Fitzroy home will be cleaned in a safe and professional manner! Best of all, you won’t have to lift a finger to clean after we are done with your home! BOOK A FITZROY CLEANING WITH US IN JUST 60 SECONDS! From the get-go, our goal is to provide you with a smooth sailing and satisfactory experience. Starting with our booking process, you can expect complete transparency, convenience and security to ensure that all your dealings with Simply Maid are pleasant! To hire a cleaning with us, simply spare 60 seconds of your time to fill out a few, personal details, select your desired cleaning services and pick a date and time for us to come by. After you complete your booking, Simply Maid will take care of the rest! The elimination of upsells, hidden costs and pointless terms and conditions allow us to get right down to business, while keeping the security of your family and home in mind. With regard to online payments, you can rest assured that each transaction is secured by highly encrypted software with a 100% money-back guarantee upon cancellations. What’s more, we offer homeowners a free re-clean for cleaning results that are unsatisfactory. That’s right, with Simply Maid comes plenty of perks! At Simply Maid, we work tirelessly for an honest buck. Our cleaners have passed multiple security checks, interviews and tests before being hired, leaving us with a cleaning staff that is 100% trustworthy, reliable and efficient! Thanks to these efforts, you never have to worry about the security of your home and family when dealing with Simply Maid. Along with a stringent hiring process to ensure that cleaners are, in fact, ‘clean’, they are also insured and bonded for further security. What’s more, you will be pleasantly surprised by how friendly, cooperative and compassionate our cleaners are! So, if you’re looking for a trusted home cleaning service that never lets you down, contact Simply Maid today! WE SERVICE HOMES IN FITZROY, VICTORIA! Located 3 kilometres away from Melbourne CBD, Fitzroy is a small, densely populated suburb with roughly 10,400 residents. Some of the suburbs that surround Fitzroy include Clifton Hill, Carlton, Collingwood, and Richmond. This vibrant suburb is famous for its colourful street art and buzzing sidewalks. For the best of Fitzroy’s nightlife, shopping, dining and more, Brunswick Street has it all! Ranging from low- density apartment owners to dwellers from the lavish Artheron Gardens, you will find a variety of people crowding up this popular street. 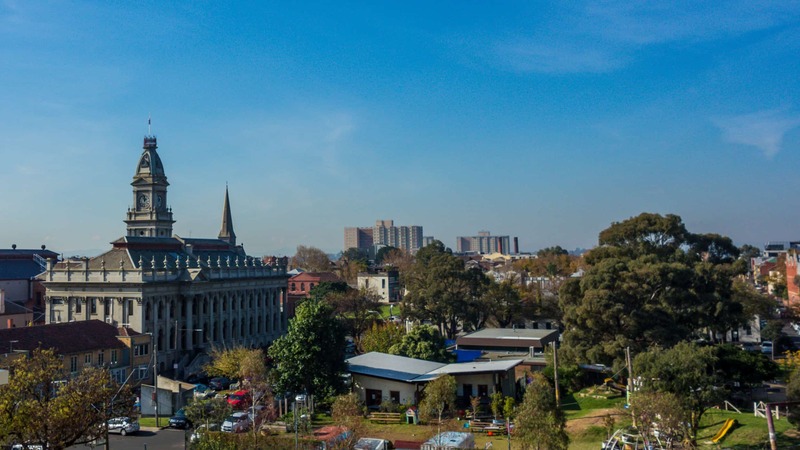 When you aren’t enjoying an art show of some sort or a couple of cold ones at the pub, Fitzroy has plenty of cafes in and around Moore Streets and King William, as well as a few open spaces to enjoy some fresh air among lush greenery and good people! Highly recommended. Was looking for a spring clean for my 2 bed, 3 bath townhouse. Was going to go with the flat rate, but after a brief consultation, decided to go with the hourly service which saved me $40-$50. The cleaners arrived on time, and did a perfect job in the time allotted. They were cheerful and friendly (have had other maid service in the past that were less than enthusiastic). They went out of their way to ensure I was completely satisfied. I will be using Simply Maid from now on.